High-tech medical interventions have been increasingly important in cutting edge solutions to age-old problems and chronic diseases related to aging. A recent study at the Mayo Clinic revealed that Biomobie’s Pulsed Electro-Magnetic Field (PEMF) therapy has been demonstrated to increase microcirculation which in turn appears to rebuild and normalize the circulatory system reversing the effects of chronic diseases among the aging population. According to the World Health Organization (WHO) in 2010, an estimated 524 million people were aged 65 or older—8% of the world’s population. By 2050, this number is expected to nearly triple to about 1.5 billion, representing 16% of the world’s population. One of the major epidemiologic trends of the current century is the rise of chronic and degenerative diseases in countries throughout the world as the population ages in numbers humans have never seen before. Over the next 10 to 15 years, people in every world region will suffer more death and disability from such chronic diseases as heart disease, cancer, and diabetes than from infectious diseases. Scientists at the Mayo Clinic say that the first part of the body’s vital function that tends to degenerate with age is the microcirculatory system. While circulation refers to blood flow to and from vital organs, microcirculation refers to blood flow in the smallest blood vessels in the body – capillaries, arterioles, and other such blood vessels. These blood vessels are often embedded in the organs, including the skin, and interact directly with muscle tissue. Impaired microcirculatory problems have been shown to occur in certain chronic disease states including peripheral vascular disease, diabetes, high cholesterol, high blood pressure, chronic renal failure, and venous insufficiency, as well as in menopause, advanced age, and obesity. Poor microcirculation is one of the single biggest contributing factors to almost all health problems: diabetes, hypertension, vascular disease, atherosclerosis, kidney disease, Alzheimer’s, early aging and others. It is estimated that 80% of the population over the age of 40 may have moderately to extremely serious microcirculation problems. Microcirculation appears to have an effect on a wide range of health problems that we call “chronic diseases.” Noncommunicable - or chronic diseases are diseases of long duration and generally slow progression. The four main types of noncommunicable diseases are cardiovascular diseases (like heart attacks and stroke), cancer, chronic respiratory diseases (such as chronic obstructed pulmonary disease and asthma) and diabetes. Chronic diseases are responsible for 7 of 10 deaths each year and treating people with chronic diseases accounts for most of our nation’s health care costs. 1 in 2 adults in America has chronic disease. 1 in 4 have 2 chronic diseases. These chronic diseases are by far the leading cause of death in the world, representing 63% of all annual deaths. Noncommunicable diseases (NCDs) kill more than 36 million people each year. With this in mind, researchers at the world-famous Mayo Clinic conducted a clinical trial using Biomobie’s “Bioboosti,” a handheld device that emits a pulsed electro-magnetic field (PEMF), in order to test the efficacy of the device to enhance microcirculation. What they discovered is that daily “Bioboosti” therapy does aid in normalizing microcirculation in individual and in case studies. 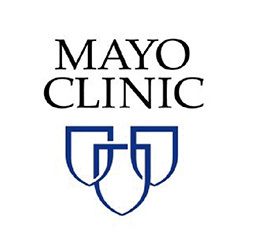 Biomobie is currently working in collaboration with the Mayo Clinic in order to determine what connections there may be between improved microcirculation and the use of Bioboosti. If microcirculation is so critical to all bodily functions including the heart, brain, and all organ functioning, what is the connection between microcirculation and chronic diseases which affect all these critical organs? These two things, microcirculation and chronic diseases have been shown to be closely related, especially in the elderly population. What can medical researchers discover as the link connecting these things? What is the cause of the dysfunction of microcirculation? This is an area of critical concern in an era of such massive chronic diseases, with further research needing to be done. The Biomobie technological breakthrough promises to be the third most effective new treatment to curb the "epidemic" of chronic diseases after medicine and vaccines, quietly repeating the history of smallpox conquest.